“I can’t meditate. I can’t sleep. I need to take drugs to calm myself… ,” participants have said in my classes. I’d been speaking about adopting a daily practice to synchronize with the wave of smile going around the world. “What makes you happy in the day? When do you feel really happy?” I asked. “That’s wonderful! While you drink coffee, expand your thought to the place where the coffee beans were grown and harvested, give thanks to the farmers who tended them, to the sunshine, rain, air, the bees, the people who prepared the seeds as coffee, to those who made the coffee cups and mugs, to Mother Earth,….” I didn’t have to say more. The participants looked lighter. I could see the thread of light making its way into their consciousness. It’s not difficult to meditate, once we shed the expectations we have of it. Rather, it is not difficult to begin the journey to meditation. Today, as you drink your morning brew, really drink it in. Absorb. 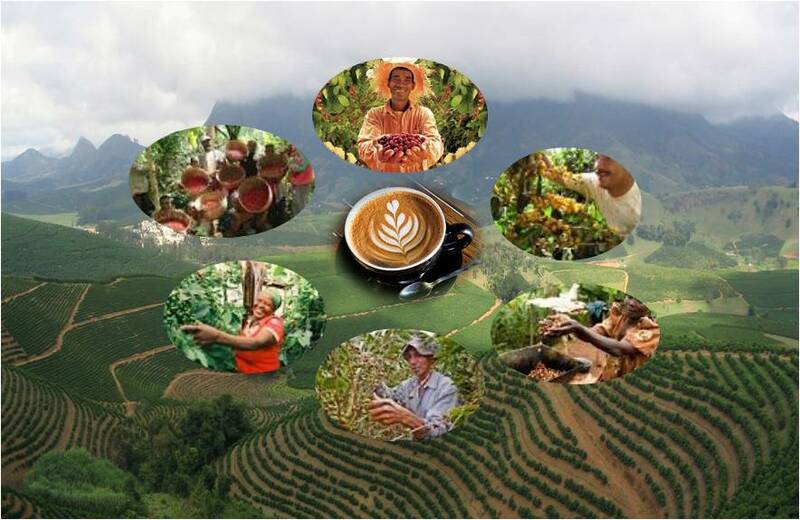 Allow in the love of Mother Earth and Father Sun, the elements, bees and microbes, that together in the fullness of time, the dedicated toil of farmers, the persistence of plantations, of human enterprise, bring that cup of coffee, or tea to your hands. As the coffee makes its way in, see the sparkles of smile it sends to your body, absorb what is good for you and allow what does not suit you to leave the body and mind. Perhaps you have memories of a mother or father giving you your first cup of coffee, of family gatherings, a welcome break in a work day. Receive wholeheartedly this gift of the world you live in, and then, spread this happiness, this smile. Then radiate Radiate it out to the world in healing and love of the people, plants, elements, minerals, insects, birds and all who have made this material thing into something so much more. Whatever we do, whatever we touch, is connected by threads of light to this world and the world we come from. Awareness of this connection is meditation. And as I write this blog, I thank the participants for helping me to travel the cyberworld in search of images for this blog; and am grateful for those who graciously share them on the world wide web. Copyright of the images lies with them; copyright of the words lies with me. Share this blog graciously. That right is yours. And do take a look at http://syncgaiahug.wordpress.com There is a wonderful wave of healing light going hourly around the world. Get on it! Posted on December 3, 2014 by Gaia ConsciousnessPosted in Blog, MeditationTagged bees, coffee, earth, elements, flowers, mantra, meditate, meditation, morning, mudra, nature, seeds, sleep, smile, sync, time, twist. This is quite beautiful! Thank you! Thank you Angela, and also for the link to your group.